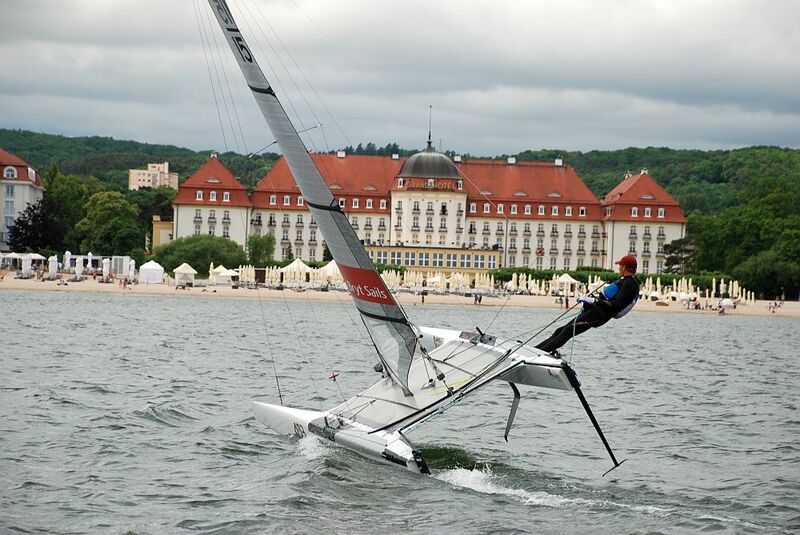 At the weekend 10-11th of June, the A-class regatta was held in Sopot, at the venue of A-class Worlds 2017. - Jacek Noetzel reports. 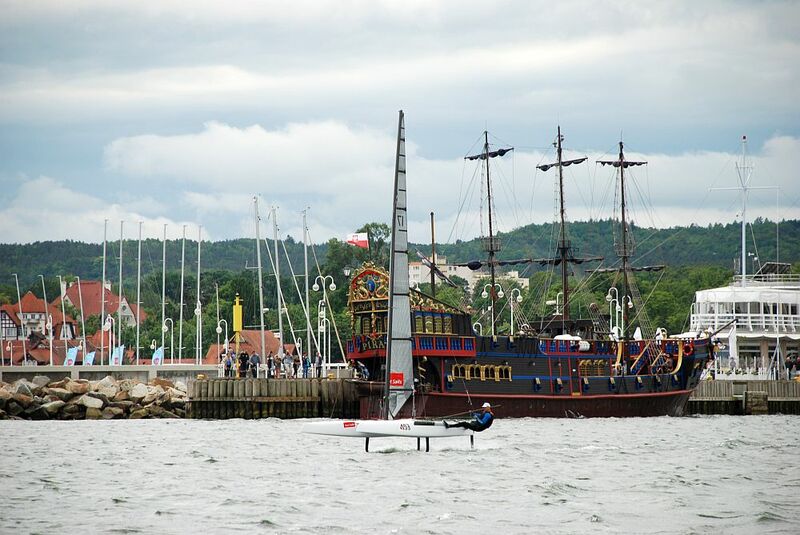 Competitors from Czech Republic, New Zealand and Poland participated in the regatta. Each race was won by a different competitor, so the races were very interesting and had a lot of leader changes. The first day of racing 3 races took place in very shifty and gusty wind 5-15 knots. 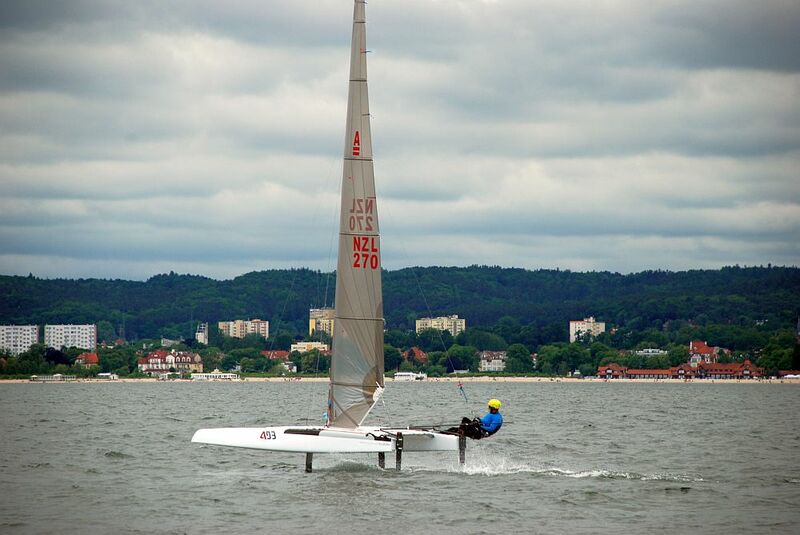 There was flat water so foiling boats sailed very fast. Next day the wind was about 5 knots and the races were short. That day the starts were the most important part of the races. 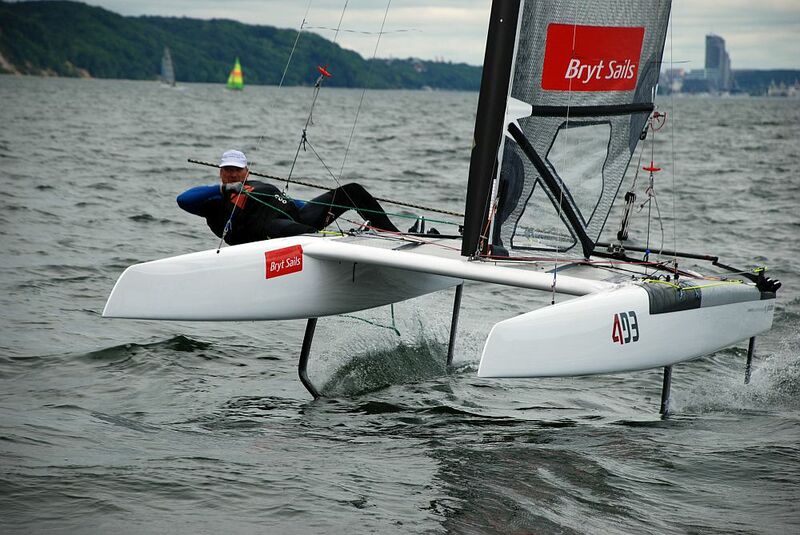 Non foiling boats were a little bit faster. 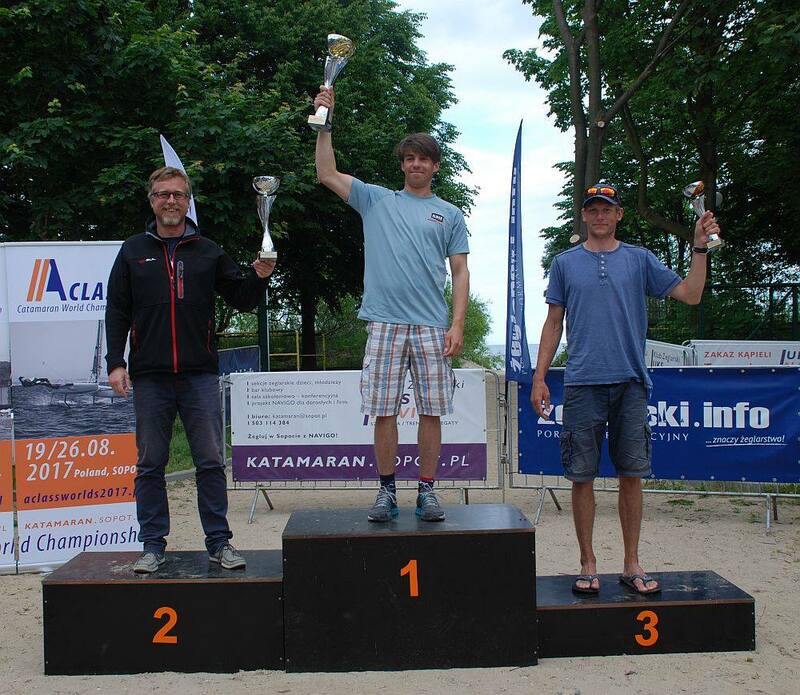 Kuba Surowiec won the regatta, Jacek Noetzel was second and Tymek Bendyk third. 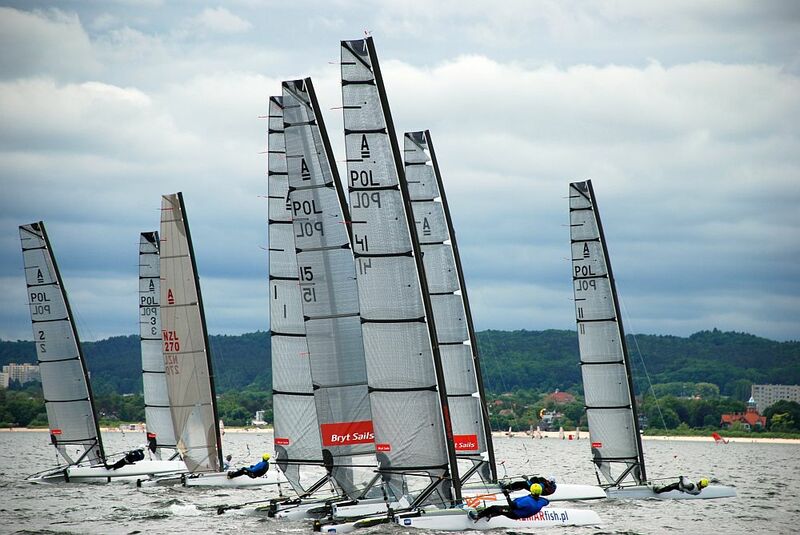 The regatta was held under the patronage of Municipality of Sopot and in conjunction with Polish Sailing Association. Sailing Club UKS Navigo was the organizer of the regatta and Almar – King of Salmon, provided tasty fishes.